Oops! I almost forgot to tell you... 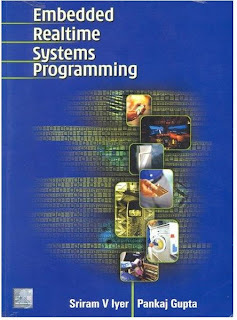 I wrote a book - 'Embedded Realtime Systems Programming' along with my ex-colleague in Philips - Pankaj Gupta. This book is published by Tata McGrawHill. I left Philips Semiconductors, Philips Innovation Campus - My home for over 4 years. (Sad, but I had personal reasons). I currently work for Beceem Communications Pvt Ltd. The email ID I had given in the book was a Philips ID. (I was thinking I would be with Philips for a loooong time). If you have any query / comment on the book, mail to sriramv_iyer at yahoo dot com. (If you are wondering why I am writing my email in a funny way, there are evil spiders in the net that fish out email addresses and SPAM them). (Do you know what SPAM exactly means? ;-). .. I am sure you wouldnt want to know). I'll save the writing for another day.